good fat | I'm Lilly the Legend. 30 Day NO ADDED SUGAR CHALLENGE Details. I’ve had a lot of questions about this 30 Day No Added Sugar Challenge, I’m going to answer all of the questions here! Yay! I’m glad so many of you have taken an interest in the 30 day no added sugar challenge. 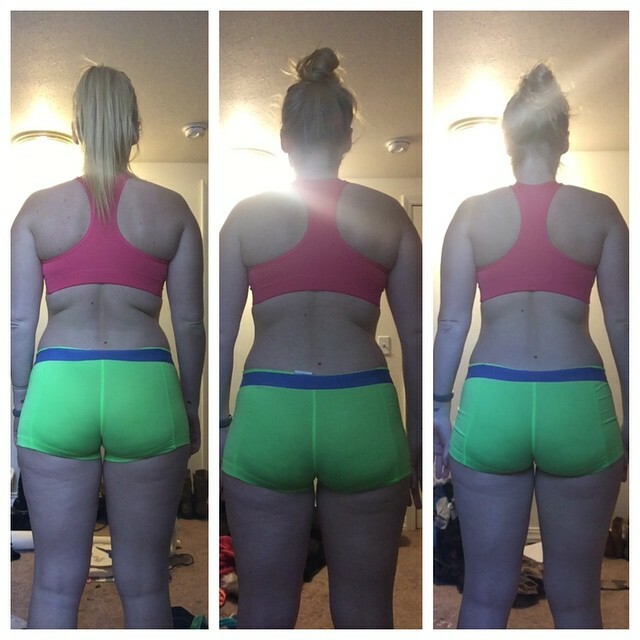 As you can see, my results even so far are pretty freakin’ awesome. I’ve also been working out 6 days a week so this isn’t JUST because I’m not eating sugar, it’s clearly a combination of the two but I know for a fact not eating sugar is helping me shred fat at a faster rate. Question 1: What do your meals look like? For Breakfast I’ll usually have a shake. I use Evolv shake (vanilla or chocolate). With Chocolate shake I’ll mix in NATURAL peanut butter, 1 organic banana, ice, and water. With Vanilla I’ll add frozen mango chunks (some days I also add a banana to this one, it depends) and water. If I have organic baby spinach I’ll add that to my shakes as well as Chia seeds. On occasion I mix my fuel in with the shake if I’m working out in the morning. If not, I wait to take my fuel (basically an all natural pre-workout/energy supplement) before my workout. So Shakes for breakfast!!! Yay!!! And yes, clearly there is a crap ton of sugar in this meal and it’s DELICIOUS. Haha, I’m not afraid of naturally occurring sugars. Some people are, I’m not. Take that or leave that. The shake has all my daily nutrients and I’m also getting nutrients from the other fruits, veggies and seeds I’m adding. It’s a phenomenal pre-workout energy breakfast and it’ll fill you up but not leave you too full to the point where you don’t want to go to the gym right after. SALAD! I love salad! Kale, Mixed greens or spinach are my go-to for salads. You’re wasting your time buying ice-burg lettuce and even romaine isn’t all that great. To get the most nutrients you’ll want kale, spinach or mixed greens. What do I put on my salads? Anything I want as long as it doesn’t have added sugar. I love epic/huge salads. 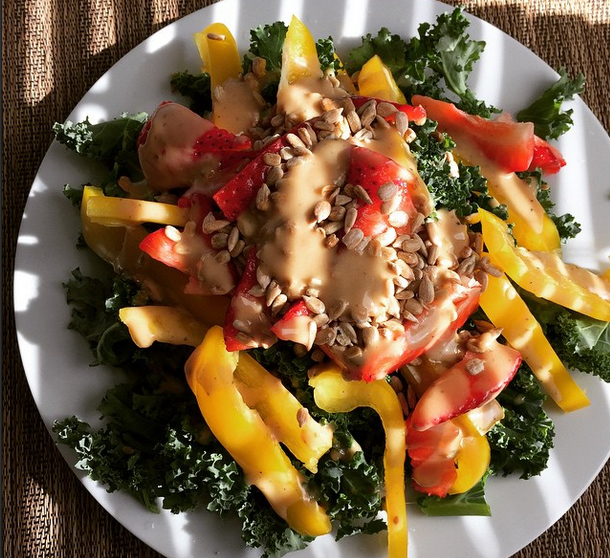 Kale, yellow bell pepper, strawberries, sunflower seeds, lemon goddess dressing. Mixed greens, hard-boiled egg, avocado, buffalo chicken, cucumber and lemon goddess dressing. This is one of the few dressing brands I found that doesn’t have added sugar. Not all of the flavors don’t have sugar so you have to READ THE LABEL to make sure it doesn’t have it. 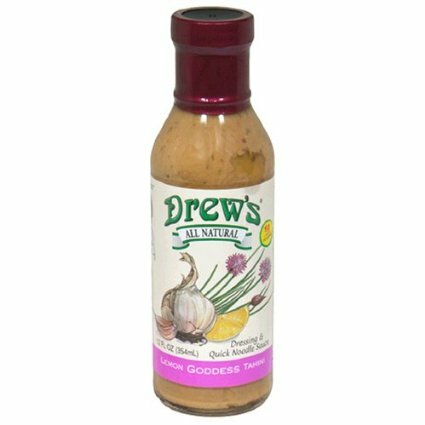 This dressing is seriously AMAZING tasting. I’ll have a meat and a vegetable. Usually chicken, sometimes fish, sometimes turkey. Vegetable is usually Brussels sprouts, broccoli, asparagus, or green beans or (sweet potatoes, I’ll still add a green veggie too). You’d be shocked at how much this fills you up! Fiber and Protein! FROZEN GRAPES! Other than that I really try not to snack. Some days I’m more hungry than other days and if I’m hungry, I eat. I’m not going to sit here and starve myself because that’s silly. Fill up on good NUTRITIOUS foods and you’ll be just fine. Some days will be better than others and that’s fine. Question 2: What foods CAN’T I eat? See, I feel weird about this one because I feel like it’s probably a lot easier for me to cut added sugar out than it will be for most people. I’ve been reading nutrition facts for YEARS and tend to know what’s what when it comes to ingredients. I’m not really shocked that sugar is in anything anymore while the average person WILL be shocked by how much they really do need to cut out of their diet if they are cutting out sugar. Here’s a list of things that have added sugar that I can think of, there are probably more so CHECK THE FREAKIN’ LABEL! – Soda, obviously. No don’t drink diet soda either. Both are horrible for you. -SPORTS DRINKS! Ugh! Poweraide, Gatorade, just say NO! Question #3: What CAN I eat during this challenge? Question #4: What does your grocery list look like? DO NOT BE AFRAID OF GOOD FATS!!!!!!!!!!!!!!!!!!!!!!!!!!!!!!!!!!!!!!!!!!!!!!!!!!! I’d say that 100 times if I wanted to copy and paste that 100 times, which I don’t. Alright I think that’s all the questions so far! HOPE THIS HELPS! If you have any other questions do not hesitate to ask. Want to join the challenge? Go right ahead. Right now there is nothing “official” it’s just… stop eating sugar… for 30 days… maybe I’ll start monthly challenges if there is a response for it… HMMMMMM.